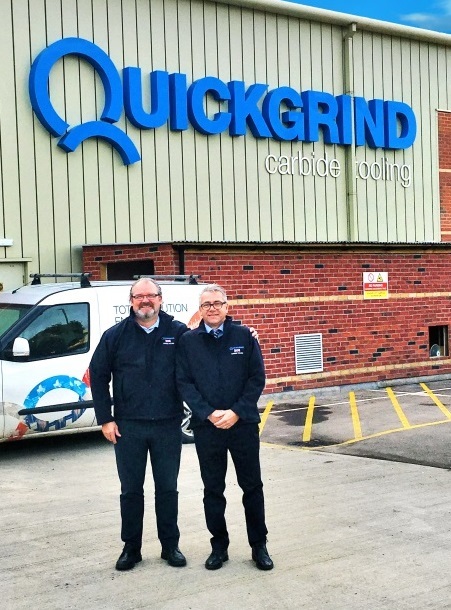 As part of its strategy to cultivate a larger customer base in the UK, Tewkesbury based Quickgrind has employed Sean Luck and Graeme Hogg as Business Development Managers and Graeme Hogg as Technical Support Manager-Northern Area. Both appointments are vastly experienced engineers that will underpin Quickgrind’s ambitions to grow market share in the UK. With over 35 years manufacturing experience, Sean will bring a wealth of experience to his role. Sean has spent much of his career in managerial roles with machine tool manufacturers, cultivating relationships with OEM’s and subcontractors alike. Likewise, Graeme started his career in the mid-seventies as a CNC turner/miller when long hair, side-burns and bell-bottoms were the in-fashion. Since the early 1990’s Graeme has worked as a technical sales engineer and more recently in sales management roles within a cutting tool environment. With over 20 years tooling specific experience, this certainly puts Graeme in the realms of ‘cutting tool expert’.